Anytime you flip between Spaces in Mac OS X there’s a fancy animation, this is nice and all but it makes switching Spaces slower than it needs to be. You can disable the animation which speeds up Spaces transition a bit. Kill the Dock again for the change to take effect. You can also speed up the Spaces transitions by adjusting the time it takes to drag windows between desktops. 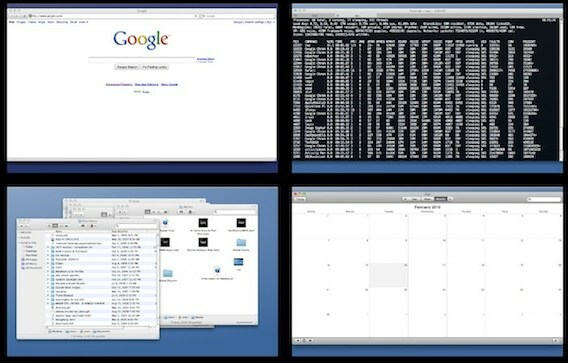 If you aren’t familiar, Spaces is the virtual desktop manager in Mac OS X, allowing you to maintain several different desktops that are easy to flip between. Thanks to Rick for sending in this tip! Thanks, a good tip, makes the transitions between windows nice and clean. I’m loving all the new terminal tips! Yep, what Johny said… Anyone have a solution for Lion? Take three… this DIRT SLOW transition between spaces is killing me and this isn’t helping. Has anyone found a way to do this in Lion? Has anyone figured out how to do this on Mountain Lion?